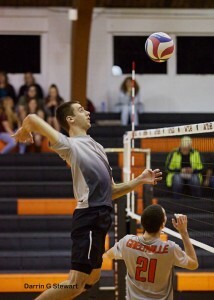 The Greenville College men’s volleyball team faced both Lakeland College and Marian University at home this weekend. Greenville wasn’t able to match up to the Lakeland Muskies as they ended the first set with a 19-25 deficit. After losing the first set, the Panthers maintained a high intensity but couldn’t close the gap losing the second set 23-25. 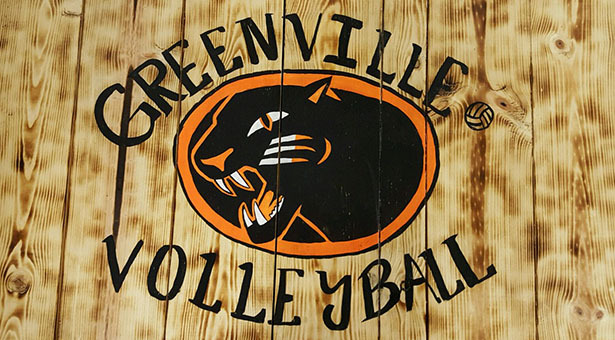 The third set proved to be a struggle as the Panthers fell short once again losing 16-25. Although Friday night didn’t go as planned, the Panthers came back on Saturday against the Marian Sabres and showed their true colors. 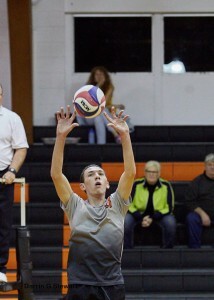 The first set remained close but Greenville came out on top winning 25-23. The Panthers kept the momentum going as they won both the second and third set by an identical 25-18 score. “We are still working on limiting our errors and keeping our energy high. With such a young team we are always working on improving in several areas. Starting all freshman is exciting and we have an amazing freshman class. When they learn to play together more consistently we will beat a lot of teams,” informs Ackerman. Freshmen Daniel Bilinski remains on top of the conference in kills per set with an average of 4.02. Bilinski is also ranked third in points per set with an average of 4.5. Greenville will face Hannibal-LaGrange University in Hannibal, Mo., on Tuesday, March 15 at 7 p.m.
Good job conducting the interview Tymber. You are becoming the coaching interview queen.